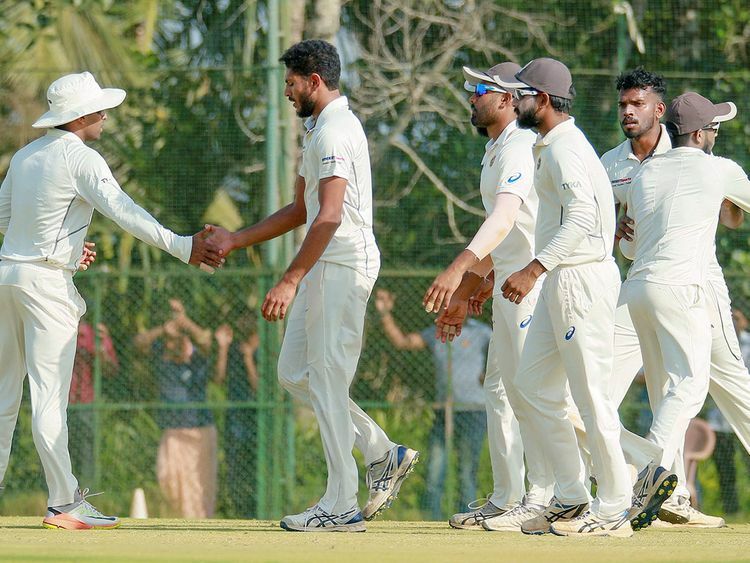 Dubai: Kerala state cricket team created history in Ranji Trophy, India’s premier domestic tournament, by reaching the semi-final of the event for the first time in the 61 years since Kerala started playing in this tournament. From a team that once used to crash out of the tournament barely winning one match or maximum two matches in a season until a few years ago, Kerala stunned established teams to achieve this honour. Guided by the world renowned coach Dav Whatmore, who took charge of the team a year ago, Kerala marched to the quarter-finals last year. This season, Kerala stunned fancied and established teams such as Delhi by an innings and 27 runs and Bengal by nine wickets. Kerala reached the semi-final by beating Gujarat by 113 runs at the Wayanad Cricket Stadium in Kerala. Gujarat, chasing a target of 194 to win, were bowled out for 81 runs. Kerala’s Basil Thampi bagged five for 27 while Sandeep Warrier took four for 30. Speaking to Gulf News recently, Whatmore who was in Dubai to conduct a coaching camp at the Kricket’s Spero Academy, had remarked that sky is the limit for Kerala. “The boys need to believe in themselves and they can go all the way,” he added.